Home » News » We need your help this Christmas! We are aiming to make the lives of our members happier this Christmas by continuing to provide the vital 25 social and activity clubs across the county. The clubs provide over 450 blind and partially sighted people with much needed friendships and peer support to relieve isolation and prevent loneliness. Almost two-thirds of people registered blind or partially-sighted never or rarely go out, causing loneliness and depression. 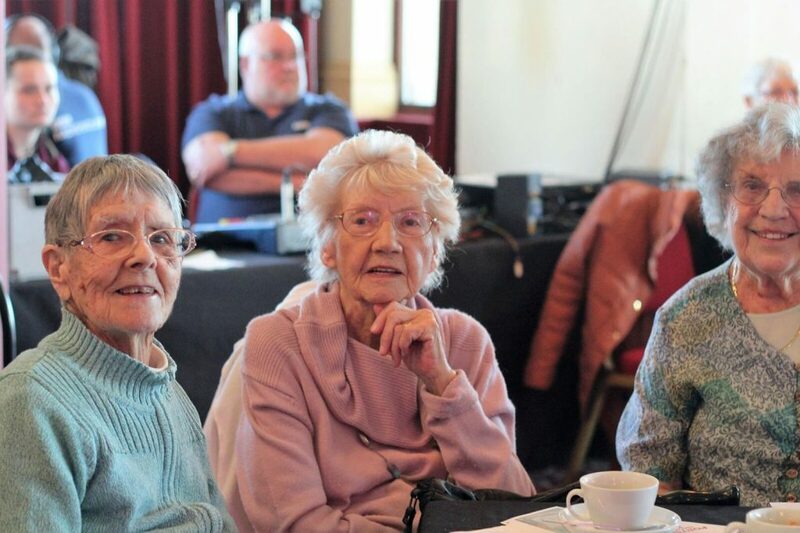 Our social clubs have a huge impact upon the lives of the people who use them, promoting independence, well being and an active lifestyle, while significantly reducing loneliness and depression. 4/5 of the charities social club members agree that they feel less isolated as a result of attending the social clubs. We have been selected to take part in the Big Give Christmas Challenge, the UK’s largest online match funding scheme, once again this year to try and raise the £15,000 required to fund the social clubs throughout 2019. We hope to achieve this through public donations, that will be DOUBLED during the week of the 27th November to 4th December as part of the Big Give Christmas Challenge 2018. “This is very much a big thing for the charity and could be massive for our service provision. To put it into context: The Big Give can turn £7,500 in online donations into £15,000 which would run all of our social clubs for an entire year”. We hope it will be an incentive that your donation could be more than doubled during the week following Giving Tuesday, the 27th November and are seeking more kind individuals and supporters to make an online donation during the week of 27th November – 4th December.